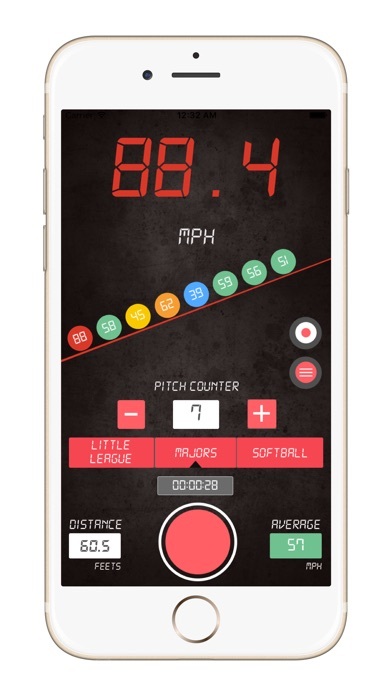 Share Baseball Pitch Speed Radar Gun with your friends ! What is new in Baseball Pitch Speed Radar Gun? 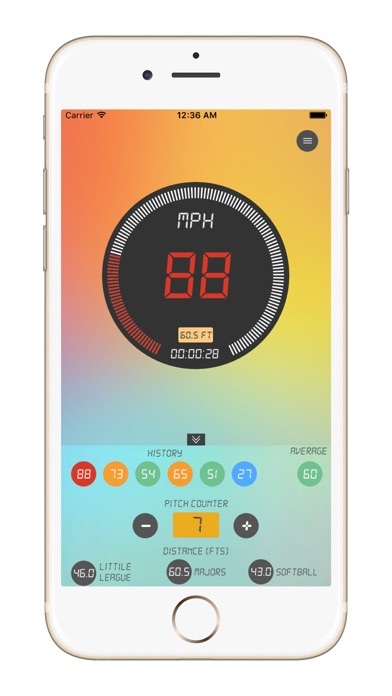 Baseball Radar Gun uses advanced color coding for simple identification of your speed. 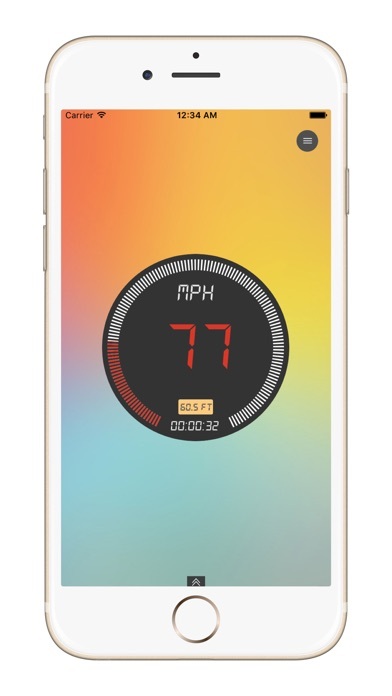 The SPEED DIAL change its COLOR according to your speed of throw. You love the animations with your throw speed. 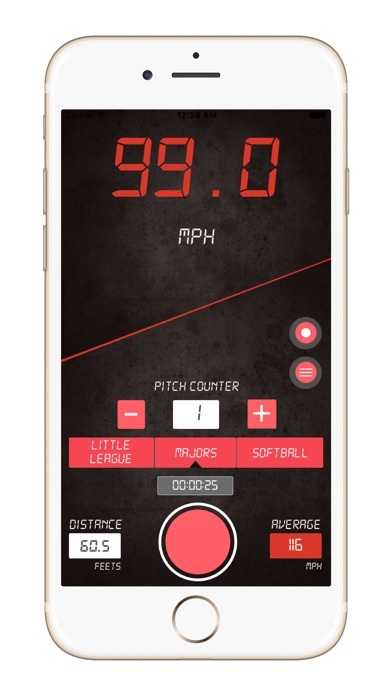 This method of pitch speed calculation allows Baseball Speed Radar Gun to be used on any phone, regardless of its age or camera quality. Also, it makes the pitch calculator very easy to use. ► Pitch counter. Don't miss a single pitch with the counter function. ► Stopwatch . The digital watch, very useful in practice sessions. ► Pitch history. No need to write down the times yourself, Baseball Speed Radar Gun remembers the last 5 pitches at minimum. ► Color Coding in Average. ► Custom distance for any kind of League games. ► League Presets: Little League, Major League Baseball, Fast Pitch Softball. ► Cheaper than a radar gun, and just about as effective. ► Can be used in many sports! Hockey, soccer, handball, you pick the sport and Baseball Pitch Speed Radar Gun does the measurements. Its a great entertainment tool and fun to use Baseball Speed Radar Gun for practicing and improving your skills! DOWNLOAD IT NOW AND TRY IT OUT FOR YOURSELF!